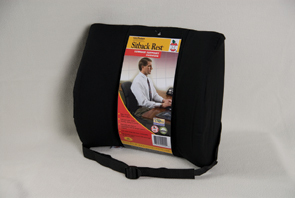 Cushion provides support and comfort for your lower back. Contour cut foam and side-support wings contour to your body for medium to firm support, to keep you in the correct position. Comes with an adjustable positioning belt to keep the cushion in place.